Our families need your help this holiday season. Your donation to our Holiday Giving Fund will provide two simple but extremely important things – comfort and joy – to the homeless working families we serve. Your gift will provide comfort to a family by providing safe, warm shelter and nutritious meals. Your gift will also bring joy to children by providing gift cards so that parents can buy holiday presents for them. And, your gift will give hope to homeless working families by giving them the tools they need to succeed – job training, financial literacy, childcare and life skills. 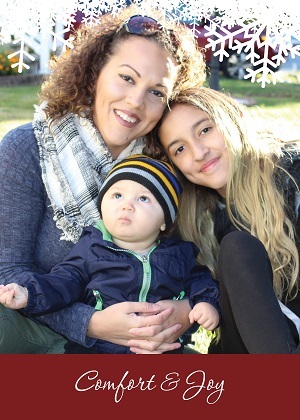 Your tax-deductible gift will ensure that more homeless families are warm and safe and that homeless children have a joyful holiday this December. Please click HERE and select “Holiday Giving Fund” to give today. Thank you.